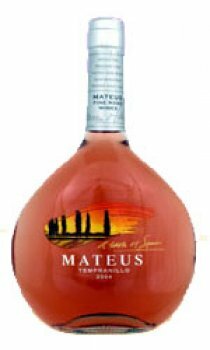 Mateus Ros&eacute; Tempranillo is a light, refreshing, and easy-drinking rose wine, which has the aroma and taste of delicious Summer berry fruit. Mateus Ros&eacute; Tempranillo is a single varietal, single vintage wine, which has been produced in Valencia, Spain, and represents the culmination of over 2 years investment and activity as part of a focused effort to attract new consumers to a rejuvenated and modern brand. Mateus Ros&eacute; Tempranillo has been designed specifically to appeal to younger wine consumers by offering them a rose with the best colour, aroma and most importantly taste. New packaging has also been developed for Mateus Ros&eacute; Tempranillo to appeal to this same younger user group.